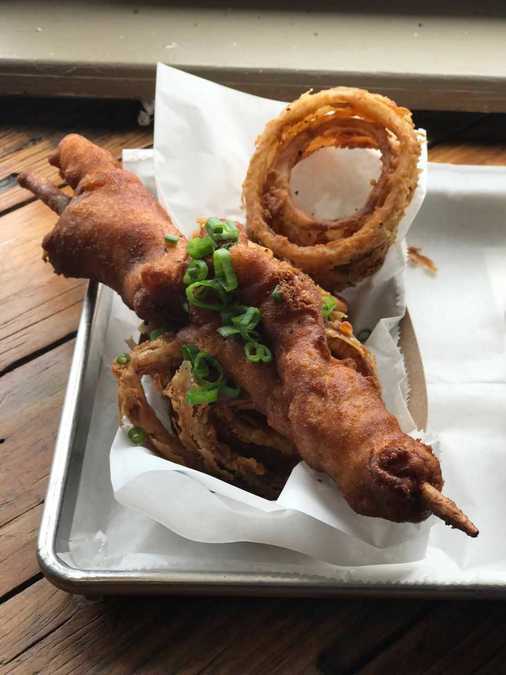 What better way to celebrate than with a one-of-a-kind foot-long lobster corn dog from Big Ray’s Fish Camp . This unique seafood creation is turning the heads of foodies throughout Tampa Bay. The corn dog is then served with onion rings, fries or vinegar-based coleslaw with pineapple chunks. We recommend the onion rings, which are hand cut, soaked in buttermilk for 24 hours, rolled in flour and deep fried to perfection. Big Ray’s award-winning grouper sandwich is also must-try. Trust me, have one and you’ll be hooked. Make your way down to South Tampa and try out Big Ray’s. You won’t be disappointed. The lobster corn dog goes for $23 and it's served with one side. Big Ray's is located at 6116 Interbay Boulevard.